Looking to earn more bling, while supporting a great cause? 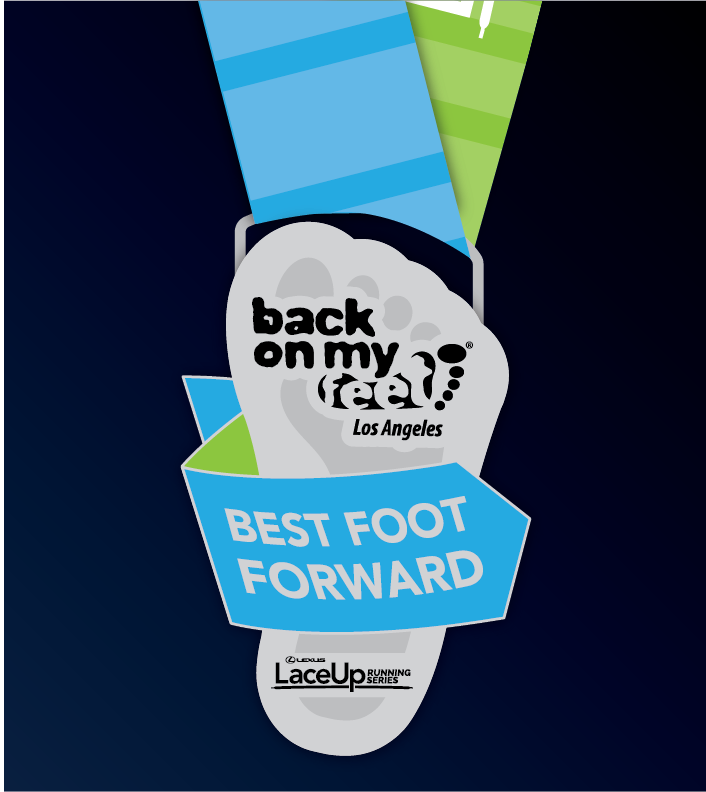 Lexus LaceUp’s nonprofit partner, Back On My Feet of Greater Los Angeles, challenges you to run the Foothill 5k Challenge. Run Back on My Feet Greater Los Angeles Foothill 5K Challenge and any LaceUp ’18 race to receive this double medal! Thanks to all that voted on the 2018 Best Foot Forward Medal! Did you run the Foothill 5K? Register for any LaceUp race, HERE.